Broadstreet's Vista Pointe offers 1, 2, and 3 bedroom pet friendly apartments, set in the heart of Edmonton's northeast residential neighbourhood, McConachie. With plenty of new parks in walking distance, as well as the Canadian Forces Base Edmonton and main roadways like Anthony Henday Drive, this modern apartment community is perfectly situated for families, recreational enthusiasts, military professionals, and commuters. Your new home offers easy access to the entire city via the Claireview LRT. It is close to recreation, transportation, and all levels of schools, making it the perfect place to call home. Inside your spacious, open-concept apartment, you'll feel at home with in-suite laundry, large closets, and a private patio or balcony. Enjoy a day of shopping and dining, or attend a movie with the family at the nearby Manning Town Centre. Vista Pointe offers desirable apartment homes for young, active families in a peaceful, residential neighbourhood. *April Flash Sale is for a limited time on select units. 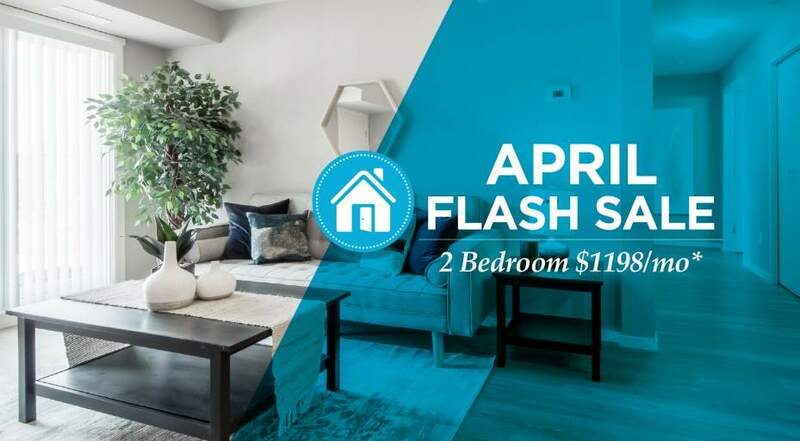 *On a fixed term lease, free rent promo applies to move-ins between April 1, 2019 and May 31, 2019.